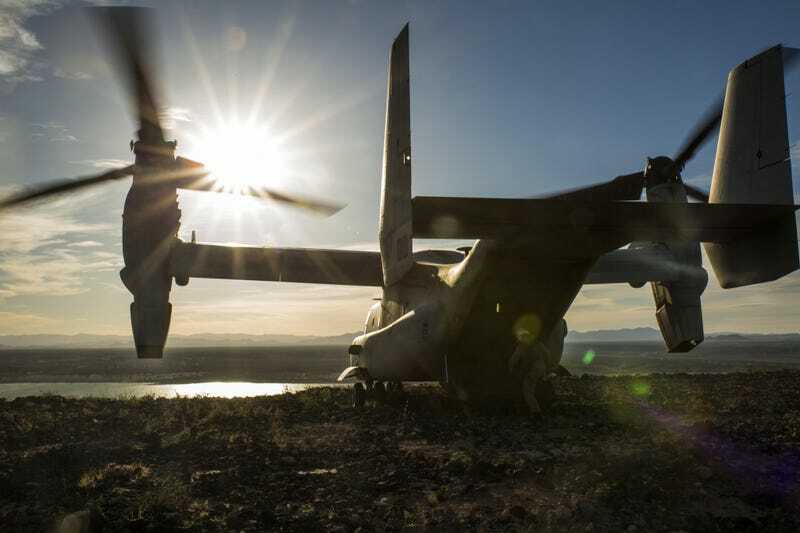 The US Marines says this photo shows a MV-22B Osprey preparing to take off on top of a mountain in New Mexico. I think the picture is fantastic, the rear shot makes it look like the Osprey is being contemplative and its rotors are splitting the Sun at the perfect angle. Everything almost looks peaceful. An MV-22B Osprey with Marine Operational Test and Evaluation Squadron 22, prepares to take off while on top of a mountain during a flight aboard Kirtland Air Force Base, Albuquerque, New Mexico, April 2, 2015. During the flight the Marines conducted low visibility landing, flew through mountainous terrain and at low altitudes.